Hey everyone! Joining us today is author D.L. Gardner in a one-on-one conversation with our host Jed Doherty. 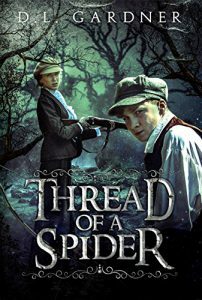 Gardner has written a wonderful young adult historical fantasy book titled Thread of a Spider, an absorbing story that smoothly combines key elements from both history and fantasy. A story of loyalty, love, hope & magic! In this interview, Gardner discusses Threads of a Spider, describes why she chose this title for her book, What inspired her story and more. Gardner also has some important pieces of advice & great tips for parents. Listen and hear what D.L. Gardner has to say – you will be amazed! With a passion for a good wholesome story D.L. 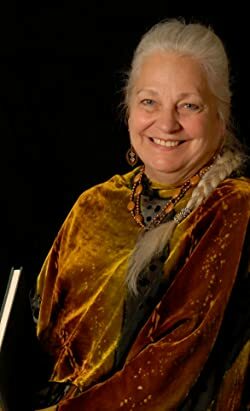 Gardner also (Dianne Lynn Gardner) dives into the adult and young adult fantasy genres. She is both a best selling author and an award winning illustrator who lives in the Pacific Northwest, USA. Dianne loves a book that ignites imaginations, strengthens friendships, spurs courage and applauds honor. Though she targets her stories for young adults, her books are enjoyed by all ages. Dianne was born in Ohio and raised in southern CA. She attended Northern AZ University and later continued her education in the Pacific Northwest. She’s an oil painter, book illustrator, screenwriter and filmmaker. She writes under the names of D. L. Gardner and Dianne Lynn Gardner. Her dystopia novel Altered has hit the best sellers chart and her underwater romance, Pouraka is sure to spark interest. Newest to her collection is the hilarious vampire satire, An Unconditional Mr. Peadlebody. Following an ambush at the Upton Rail Station in 1921 Ireland, British troops burn Ailis’ home to the ground and arrest her fiancé, Liam, for murder. She and her younger brother Paddy flee to an enchanted glen. Lured by a haunting song, Paddy is abducted by forest folk. Perilous obstacles, and a questionable stranger, hinder Ailis’ attempts to find her brother or free her fiance, until her only hope for survival rests on the magic of the Fae. A bitter uprising in Ireland is taking place and two siblings are tossed in the battle, facing death, believing in love, and hoping in magic. Jed shares some great words of wisdom from an Armenian-Russian writer of fantasy Vera Nazarian and much more. A big thank you to D.L. Gardner for joining us and sharing her story! Finally, where can people find D.L .Gardner on the internet? 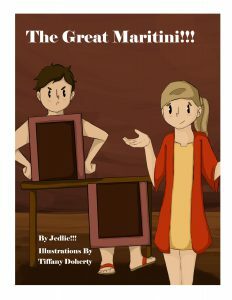 PreviouslyCecilia’s Tale by Debbie Manber Kupfer! Read NextRWYK Podcast: New Year Special Star-studded Episode!